Ankeny, Rebecca Thomas. The Story, the Teller and the Audience in George MacDonald's Fiction. Lewiston, NY: Edwin Mellen Press, 2000. Gray, William N. "George MacDonald, Julia Kristeva, and the Black Sun." Studies in English Literature, 1500-1900 36.4 (Autumn 1996): 877-593. Accessed 19 May 2009. Hein, Rolland. George MacDonald: Victorian Mythmaker. Nashville: Star Song, 1993. Johnson, Joseph. George MacDonald: A Biographical and Critical Appreciation. London: Sir Isaac Pitman and Sons, Ltd., 1906. Lewis, C. S. George MacDonald: An Anthology. 1947. Lewis, C. S. Surprised by Joy. MacDonald, Greville. 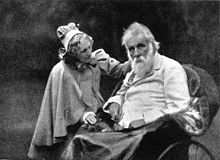 George MacDonald and His Wife. McGillis, Roderick, ed. For the Childlike: George MacDonald's Fantasies for Children. Metuchen, NJ, and London: The Children's Literature Association and the Scarecrow Press, Inc., 1992. Raeper, William. 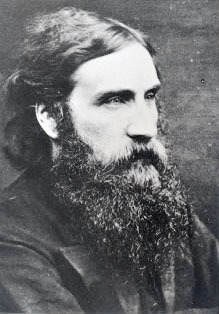 George MacDonald. Tring, Herts., and Batavia, IL: Lion Publishing, 1987. Reis, Richard R. George MacDonald. Twayne, 1972. Robb, David S. George MacDonald. Edinburgh: Scottish Academic Press, 1987. Wolff, Robert Lee. The Golden Key: A Study of the Fiction of George Macdonald. New Haven: Yale University Press, 1961.